Green and Glassie: Barking Wednesday ~ Does your dog have gas? Barking Wednesday ~ Does your dog have gas? Somedays Kingers gas will knock over a truck. I have found a very simple way to help with his gas explosion. 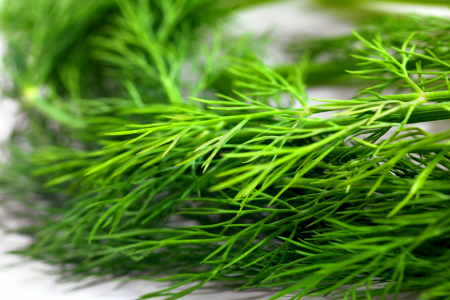 Did you know a small amount of finely chopped Fresh DILL will help relieve your dog's discomfort related to gas!! I give it to Kingers in the morning on his food! Simple and Safe way to help relieve his gas. Makes blogging a whole lot nicer when he is laying beside me! LOL, I never really thought about it, but this is great information!! I need to do this for our chocolate lab Sadie! Well, the child in me giggled all the way through this post. :) Good to know! Yes! This is so helpful. I have a 60lb dog and sometimes she gets gassy. Oh I used to have a sweet bulldog with this issue! Good to know! I don't have a dog myself, but will definitely pass this information on to my brother. His English Bulldog has this problem. I did not know about this trick! I will definitely be passing it on to some of my friends who have particularly gassy dogs. This is really good to know! I'm so grateful my 180lb St Bernard is not very gassy, but I worry it will change as he gets older? Interesting. I'll have to pass along to my sister. So, much to know about dogs. I've gotta share this with my readers. This is so interesting. Never actually thought about dogs having stomach discomfort as well. Our dog gets some awful gas. I definitely need to try this for him. What A Great Remedie Thank You For The Info! I needed to know this information earlier today! When I first got home from work man my dog was on a roll. She finally settle down though. I will remember this next time! I don't like dill but I guess I need to plant some for my chloe bear. Interesting, I do not have a dog but this sounds like a great natural method. I wish I would have known this back when I had a dog. I love when there are simple tricks like that. Bravo for dill! Sometimes my dog's gas is so bad that I think it could wake the dead. It's only one of the dogs and she looks around when she does it, like she is trying to figure out who did it. lol! I love the idea with the dill! I wish I had known that with our old dog. He was hard to be around sometimes! This is some really great info! Who knew? ;) I will be passing this along to my friends that have dogs. My dog doesn't seem to ever have gas. She never stinks of fart and I know she wouldn't eat greens even if we tried to get her to.